There is much to be said about the California Republican Party’s Fall Convention held in downtown Los Angeles last weekend. Presidential candidates and a straw poll, great workshops and townhalls, tributes, speeches and more. The better part of a thousand GOP activists, donors and leaders descended on the L.A. Live! Marriott-Ritz hotel, across from the Staples Center (we were the pre-show for the Emmy Awards, I guess). This column, however, is devoted to only one aspect of the convention – the ongoing process of the quadrennial adoption of the California Republican Party’s platform. One step of that process occurred at the convention, but a very important one. By way of background, once every four years the CRP adopts its platform. I have been a member of each platform committee going back to 1992 – so this will mark two decades of direct involvement in this process. It has been since 1992, I believe, since there was a bona fide fight over the platform with party conservatives and moderates battling it out. Conservatives won the day back then, and while the platform has gone through changes over this intervening years (it was much longer than it is today), it has always been a conservative platform in every area from economic policy to social issue policy (though some say it is not as conservative as the Republican National Platform). This go around things have been a little different. Moderate Bay Area Republican donor Charles Munger, Jr. (the son of Warren Buffet’s billionaire business partner) has decided, so the story goes, to put a pile of money behind a play to moderate the party’s platform into something more to his liking. While his plan was cloaked as an effort to “update” the platform, it takes about a nanosecond to compare the new version he was advancing, and the existing platform (see the comparison here) and see it for what it is – a play to fundamentally alter the California GOP’s positions on a myriad of issues. 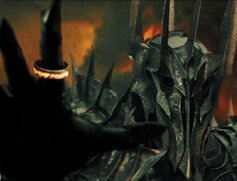 Munger’s emerging on this issue is like Sauron coming back to Middle Earth – the party’s membership had forgotten what it was like to have to defend its platform, and had grown complacent…. If you are new to this issue, I would recommend that you read my column of last week, leading into the convention, to understand the whole picture. Anyway, the party’s Platform Committee elects a subcommittee, called the Drafting Committee, to put out a draft document for the full Platform Committee to consider. Because conservatives were asleep at the proverbial switch, a small group of moderates won the majority of seats on this small committee. Then, with around 30 people present (barely achieving a quorum), the Drafting Committee adopted a platform draft that guts the current platform. Though not on the platform or drafting committees, Munger was as the drafting meeting, as was his paid staff. Between the drafting committee meeting, and the financial resources put into multiple party-wide mass mailings advocating the new, weakened documents, just like the people of Middle Earth rallied against the Dark Lord, the conservatives on the Central Committee woke up to what Munger is doing, and rallied for last weekend’s convention where the full platform committee met to decide what it would advance to next Spring’s convention for a final vote of all of the delegates. When I got to the convention, the list of platform committee members ingrained in my brain, it was clear that we had a strong turn-out of folks. An early harbinger of what would happen in Sunday’s Platform Committee meeting took place on Saturday night. The Republican County Chairmens Association met to discuss the platform issue. After a lengthy debate, again with Munger sitting right in the room, by a wide margin the chairmen voted to oppose the weakened document advanced by the drafting committee, and threw their support behind retaining our current party platform (with minor revisions). Fast forward to last Sunday at 1pm — and the meeting of the Platform Committee. The better-than-anticipated attendance for the meeting caused all of the chairs in the room to be filled. Additionally committee members lined the walls – and spectators lined the back of the room and bulged out into the hallway. Assemblyman Dan Logue, the Chairman of the Platform Committee, called things to order. It would take too long to pen a blow-by-blow narrative of the whole meeting. But suffice it to say that it was a room where there were definitely two sides. Ironically, Munger was not a Platform Committee member – so the “floor jockey” sitting in the front row for his cause was San Luis Obispo County Chairman John Peschong, aided in parliamentary matters by CRP Treasurer Mike Osborn. Most visible in leading the opposing Munger’s attempt to use brevity to gut the platform were myself, Mike Spence and County Chairmens Association President Mark Pruner. There were two big votes that took place. 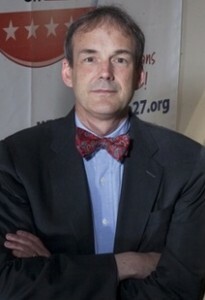 The first one was on a procedural matter – John Peschong, on behalf of Team Munger, introduced an alternative agenda to the one put forward by Chairman Logue. A debate ensued followed by a vote – in which Peschong’s motion was defeated. It was at that moment that everyone knew the eventual outcome of the meeting. Eventually there was a roll call vote of the committee to substitute out the drafting committee’s recommended platform language and replace it with the existing platform with minor modifications. That motion carried on a 65-50 vote. Shortly thereafter the existing platform was then was approved and will now be before the full convention in February. This is a significant victory for conservatives, especially because the CRP has always required a 2/3rds vote of the floor of a convention to change or modify the recommendation of a committee. It is significant to note that amongst the ranks the conservatives at the Platform Committee were a good number of Republican officeholders. Specifically Board of Equalization Members Michelle Steel and George Runner, State Senators Sharon Runner and Joel Anderson, and Assemblymembers Tim Donnelly, Brian Jones, Allan Mansoor, Mike Morrell, Jim Nielsen, Don Wagner and Dan Logue (who ran the meeting but voted with conservatives on the roll call, as did CRP Chairman Tom Del Beccaro). It should be noted that one legislator, Senator Sam Blakeslee, was there voting for the Munger platform proposal. As a post script, I have been contacted by a good number of Platform Committee members since the meeting Sunday (some in conversations before I left the hotel, others by email and telephone) who has been supporting the Munger proposal. They all said that they really had no idea until the meeting the volume of substantive changes and deleted positions of the party in the new document. They don’t support it anymore. Here is a link where you can download and read the current proposed platform that is very close to what will be before the CRP membership in late February at the Spring Convention in the Bay Area. For some background about the extensive process of creating the 2008 CRP Platform, check that out here. Chairman Del Beccaro opened and closed the Platform Committee meetings reminding people about the importance of a civil discussion, and unifying to beat President Obama at the Democrats in 2012. That is definitely the spirit that was in that room as every one left the room to head back home. We can all hope that those pushing this divisive platform battle will now end this fight, and go into the election year unified as a party. This entry was posted on Tuesday, September 20th, 2011 at 12:09 am and is filed under Blog Posts. Yes, indeed, Jon. I’m sure your platform will help to elect all Republicans to statewide constitutional offices and to legislative seats all across California. It sure has helped our candidates over the past, hasn’t it? I’m sure every voter peruses the party platforms, rather than the candidates, before they cast their ballots, right? In the last election, our GOP nominee for Governor had extreme differences with this platform on a myriad of issues ranging from life, second amendment, property rights, the traditional family, and the environment. She didn’t win, of course. But her loss (nor her win if she’d done so) would have been due to the contents of the party platform. When has a candidate ever lost for standing true to the values we hold as Republicans? I’m fairly certain our last statewide victory ticket was the moderate dream team, running on everything this moderate platform proposes and there was not one statewide seat won by a Republican. The first time thats happened ever in the state of California. Goes to show you that people vote based on issues, not the candidate. President Reagan always said that if we agree 80 percent of the time, than you’re my friend. But there’s way less than 80 percent of their proposed platform that I agree with. In fact, there’s nothing in it I agree with. Pushing jobs at the committee meeting was the guise to make their platform look less gutted because they know delegates and voters dont want second amendment, tenth amendment, the right to life, family values, harsh anti tax language, and eminent domain language removed. The fact is that only we “insiders” know that the platform exists and have read it. I’ve run for Assembly 3 times over the years and attended numerous debates, community meetings, etc. The platform was never menitoned. I was asked about my positions on social issues. The problem is the platform is what the press can bite into and what generates the general ‘aura’ about the party. When you put pro-life and ‘pro family’ stuff in there [instead of gov’t efficiency, lower taxes, school improvements] that’s a helluva albatross around a (possibly) otherwise electable candidate. That “R” automagically comes with that baggage. With a huge registration disasvantage, poor showings with younger & female voters (as well as other demographics) and likelihood of going “under 1/3” in the legsilature, the party really needs to mitigate its worst aspects affecting electability. I’m a gun rights advocate and I’d be glad for the CA Reeps to COMPLETELY TAKE OUT any mention of gun rights matters in the platform. I don’t care about sayings, I care about deeds/results. These matters are best dealt with on a per politician basis, and the fact the Reeps try to ‘own’ that issue makes the issue as ‘bait’ for some Dems – yet surprisingly, few CA Reeps do much useful on CA gun matters and we’ve been getting more traction from some Dems. I’d be perfectly happy, in a closely contested seat, to help trash an antigun or lukewarm progun Republican running against a pro-gun Dem (and there are quite a few) – just to help disconnect (a bit) the issue from a losing party.